Think your low-fat diet is protecting your brain? Think again. Healthy fats are vital to brain function and the prevention of dementia and Alzheimer’s, and a low-fat diet can deprive your brain of essential nutrients. 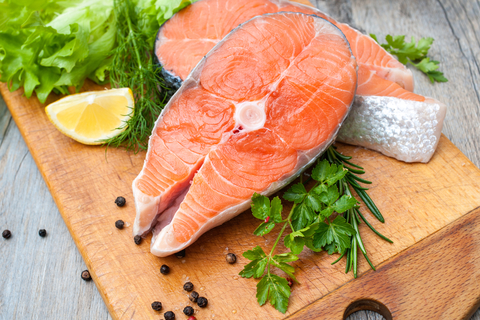 Get your omega-3 "healthy fats" from raw nuts, seeds, and wild cold-water fish, such as salmon. Are you getting enough healthy fats in your diet? Don’t skimp; healthy dietary fats are vital to brain function and the prevention of dementia and Alzheimer’s, and a low-fat diet can deprive your brain of essential nutrients. Here’s why healthy fats are critical: The fats we eat are broken down into fatty acid molecules, which eventually make up the membranes of cells, including brain cells. Cell membranes determine cellular health. They play a role in communication with other cells, and they control what may enter and exit the cell. A diet overly low in fat—or overly high in unhealthy fats (the processed vegetable oils, trans fats, and hydrogenated fats commonly found in fast food, junk food, and packaged food)—leads to faulty structure of cell membranes. As a result, cellular function and communication suffer, ultimately leading to increased rate of cell death, or degeneration, in the brain. Also, myelin sheaths, the covers that protect communicating neurons, are composed of 70 percent fat. Again, proper dietary fats ensure that these sheaths are healthy so that communication in the brain can function normally and so memory function is preserved. Sufficient quantities of healthy dietary fats also provide precursors to a brain chemical called acetylcholine. Acetylcholine is necessary for learning, memory, concentration, and focus. How Do You Know If You Have an Acetylcholine Deficiency? 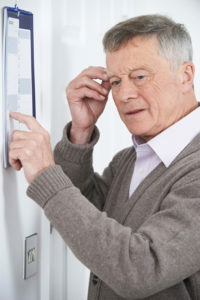 Avoid trans-fats to prevent dementia and Alzheimer’s. When eating to protect brain health, avoid bleached and deodorized vegetable oils. Also, vigorously avoid trans fats and hydrogenated oils, which alter the composition of cell membranes and have been shown to increase the risk of Alzheimer’s. Many fried foods, fast foods, and processed foods contain hydrogenated oils, or trans fats. Consume choline. The most abundant dietary sources of the acetylcholine precursor—choline—are animal fats: egg yolks, cream, fatty cheeses, fatty fish, fatty meats, and liver. Non-animal sources include avocado and almonds. Although you don’t need to eat them to excess, depriving yourself of healthy fats on a long-term basis can rob you of brain function and increase your risk of dementia and Alzheimer’s. Braverman, Eric R. The Edge Effect: Reverse or prevent Alzheimer’s, aging, memory loss, weight gain, sexual dysfunction, and more. Grimm MO, Rothhaar TL, Grosgen S, et al. Trans fatty acids enhance amyloidogenic processing of the Alzheimer amyloid precursor protein (APP). J Nutr Biochem. 2011 Dec. 29. Epub ahead of print. acetylcholine, acetylcholine deficiency, acetylcholine precursor, aging, almonds, alzheimer, brain, brain health, choline, dementia, diet, fast food, fish oil, food, galantamine, health, healthy fats, low fat diet, memory, memory loss, nutrients, nuts, omega 3, omega 3 fats, omega 3 fatty acids, processed foods, protein, supplement, supplements, symptoms of dementia, weight gain, your memory. Celso Azevedo • 9 de Maio de 2011 às 10:znI8feli0mente o feedburner nÃ£o tem uma opÃ§Ã£o que permita “filtrar” os emails nÃ£o confirmados, por isso vÃ£o todos a sorteio, mas sÃ³ quem tem a subscriÃ§Ã£o ativa Ã© que pode ganhar.Isto quer dizer que se um email nÃ£o verificado ficar em primeiro lugar, o vencedor serÃ¡ o email confirmado seguinte.